I know. I’m totally mean. I love putting together characters who can’t stand each other and letting them take jabs at each other. If you’ll recall, in Ruined by the Earl, Logan (Lord Toplyn) and Malcolm (Mr. Jasper) hated each other. 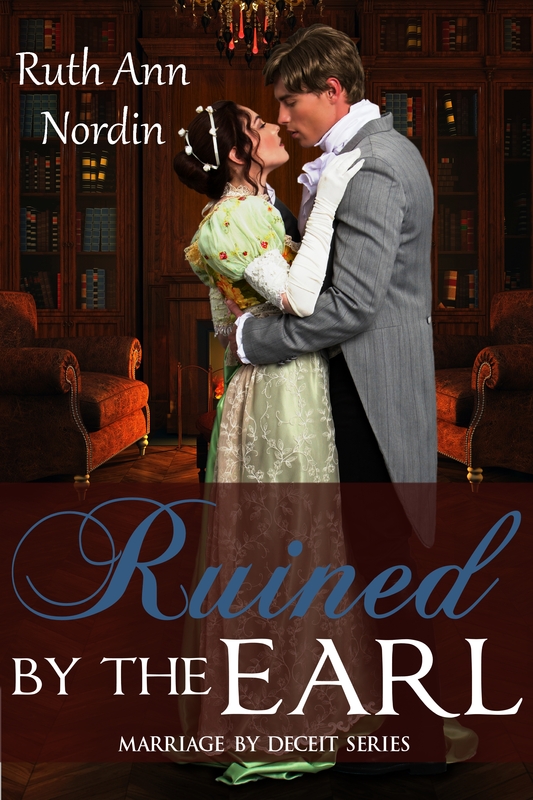 In fact, at the end of the book, the two only agreed to get along enough in order for Melissa (the heroine in Ruined by the Earl) to have some peace. Melissa, after all, was Malcolm’s sister and had to marry Logan. So she’s really stuck in the middle of this. We introduce Lady Cantrell (also known as Regan) who has, by marrying Malcolm, gotten in the middle of the rivalry between Malcolm and Logan. I honestly don’t know if these two will resolve their differences or not. Characters are often unpredictable. I’ll think they’ll do one thing, and they’ll surprise me by doing something else. So we’ll see how things play out in the course of His Wicked Lady. What I want to do today is share the scene I wrote today. Setting for the scene: Logan has come to visit Regan to offer her advice on how to get Malcolm to fall in love with her. (Up to now, Malcolm hasn’t been happy with his new bride.) While Logan is trying to help her, Malcolm comes to the drawing room and interrupts their conversation. They looked up in time to see Malcolm coming into the room, rolled up parchment under his arm and a scowl on his otherwise handsome face. “Why are you in my townhouse, and why are you touching my wife?” Malcolm demanded, striding over to Logan. “Yes. The poor thing is married to you. Her life will never be the same.” Logan bit into his scone and maintained eye contact with Malcolm, as if daring him to offer a rebuttal. Logan raised an eyebrow and glanced at Regan as if to ask, He always has something important going on, doesn’t he? Regan stifled the giggle that rose up in her throat. The two of them really didn’t get along, but it was amusing to watch them engage in their banters, though she’d never tell either one that. Regan, who was biting into her scone, almost gagged on it. An entire evening with Lord Steinbeck? She’d rather stick a fork in her eye. This time, Regan wasn’t successful at hiding her laughter. She’d never heard Steinbeck referred to in such a way, but the name Logan came up with certainly fit. When Malcolm glanced her way, she covered up her laughter by coughing into a napkin. “Yes. She’s got a pristine reputation and a lot of money,” he replied. I am not sure what to do about Lord Steinbeck (or, as Logan likes to call him, Lord Steinblech). I’m not sure if he’s a hero or a villain. Or a villain that will be a hero. 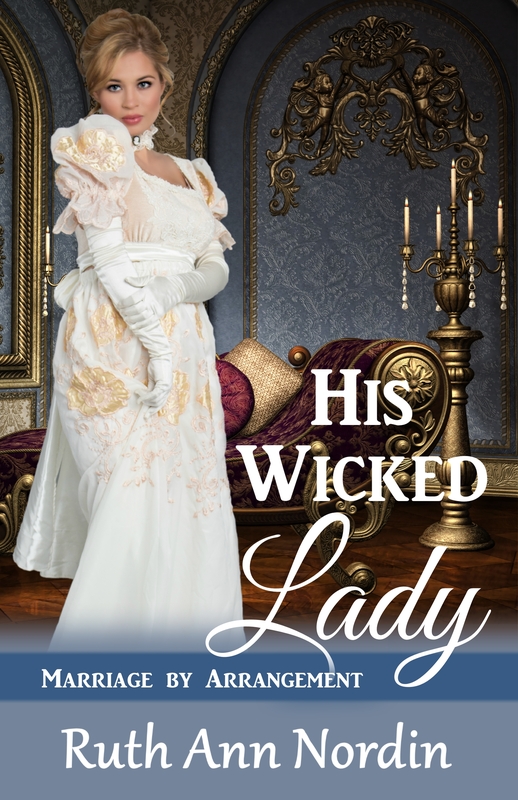 If you would like to reserve your copy of His Wicked Lady now so you get it as soon as it comes out, I’ll insert the links to where it’s available for pre-order. This will be out January 9. It’s also up on Smashwords if you want to put it in your library. Depending on the couple and the context I do sometimes like to see characters that start out dsliking each other eventually become good friends or even lovers. In Sailor Moon, which was and still is one of my favorite anime, the main character and her love interest at first couldn’t stand each other, but over time they grew to care for each other and eventually fell in love…especially after they remembered their past lives. I love the distinctions you point out between the writers who portrayed this scenario well and those who didn’t. It’s good to see both sides of it and consider why one show worked well and the other didn’t. One thing I love most about watching TV shows and movies is that it helps to learn the writing craft when you can see how things are on the screen. I agree with you on your assessment of Hemlock Grove. That wouldn’t work for me either. You have to have a reason to believe it, and more importantly, a reason to care about the characters. It sounds like the writers are trying to force it when it isn’t there. I watched a couple of movies recently where the romance fell completely flat. The suspense and humor were awesome, but in no way could I believe the characters really loved each other. They felt more like they did because the script told them to. This sounds similar to the Hemlock Grove thing. If there’s one thing I’ve learned about writing any sort of romance, you have to give people a reason to believe it. Do they have similar tastes? Have they gone through similar experiences? Do they keep fighting to the point where their lives are incomplete unless they duel each other verbally? Unless you make the reader believe it, your story will just fail. I love this scene. I remember them from Ruined by the Earl and enjoyed their jabs at each other. Malcolm REALLY disliked Logan. I’m interested to see how Regan loosens up Malcolm in this book. I think she’s finally doing it, but man, it got me to the 40K mark. LOL Malcolm is surprisingly stubborn. I’m shocked. I have no idea if I can get Logan and Malcolm to get along. So far, it’s not happening, and since I write by the seat of my pants, I have no way of knowing it’s even possible. At the moment, neither one is relenting.